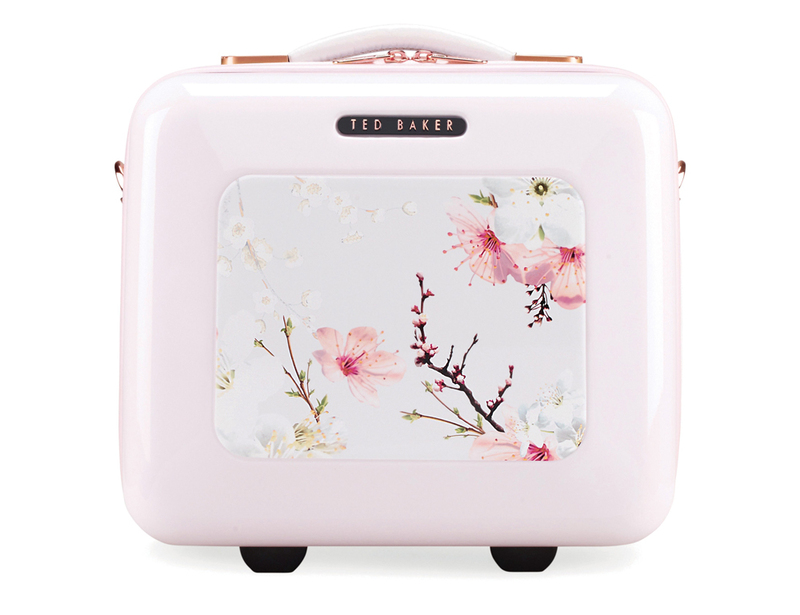 An elegant garden print blooms on a sleek vanity case that offers signature glamour along with easy practicality thanks to a hardshell design and add-a-bag strap that slips over any telescoping handle. 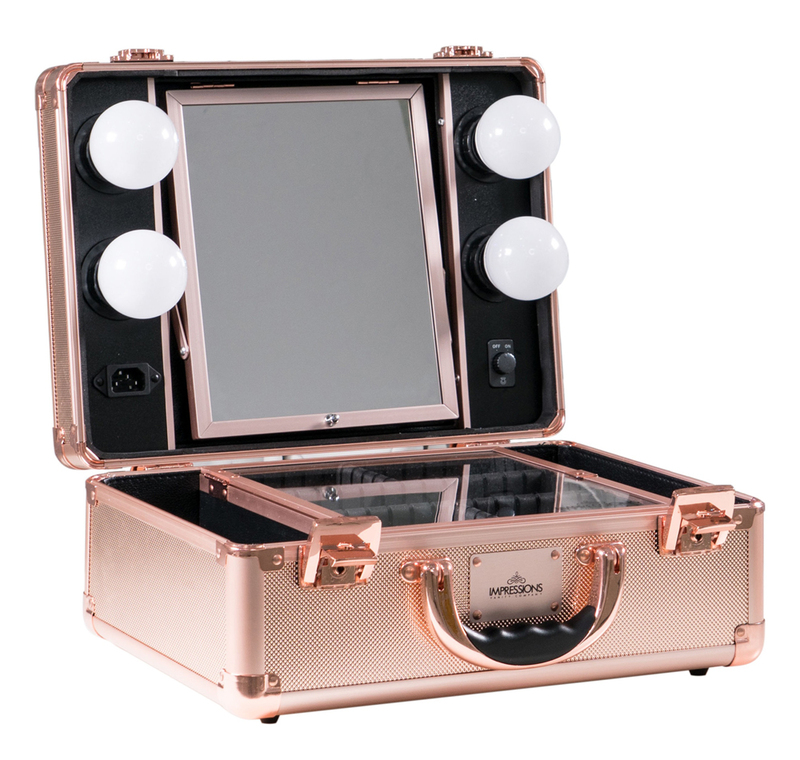 Slay anywhere with this travel makeup case — a portable vanity that allows you to take glam essentials on getaways near and far. Energy-saving LED bulbs provide bright, long-lasting light without the worry of makeup melt-down, and durable construction keeps your beauty investments protected. For added convenience, the detachable main compartment features adjustable dividers that configure to meet your organizational needs. 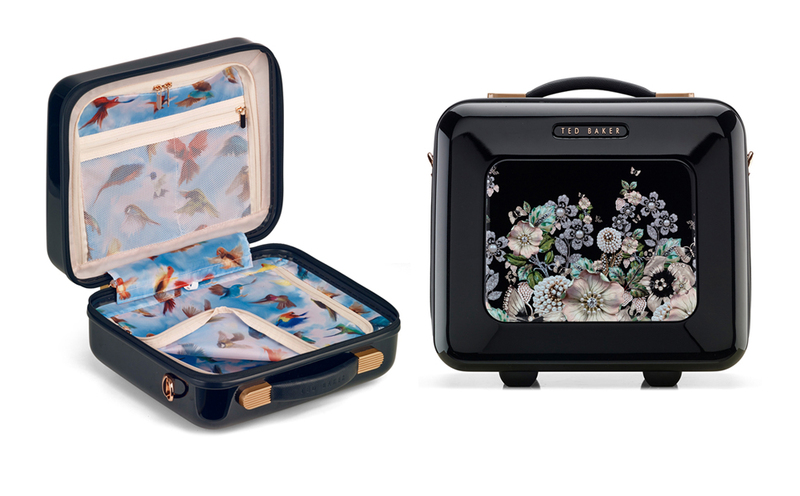 This vintage-inspired vanity case serves as a travel must-have, complete with a well-organized interior and three carrying options—including a back strap so you can attach the case right to your suitcase. 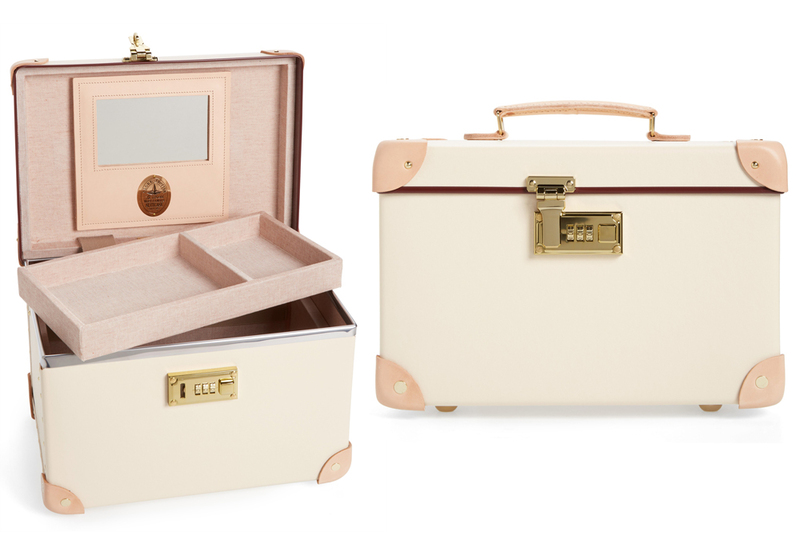 This vintage-inspired vanity case serves as a travel must-have, complete with smooth leather trim, a combination lock and a built-in jewelry tray.